Do you love Christmas and you love that everything is filled with Christmas decorations? 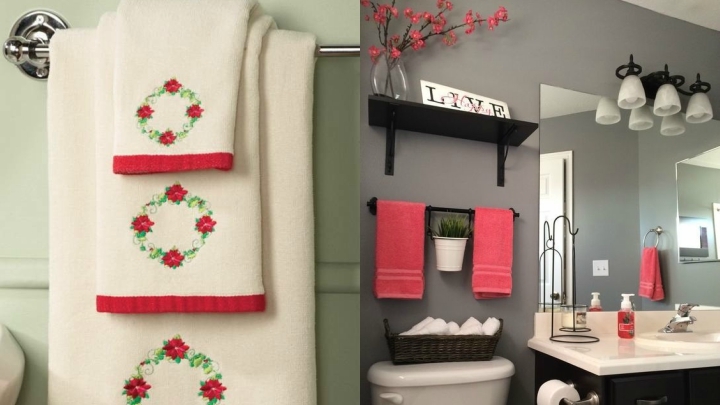 So these ideas to decorate the bathroom at Christmas will excite you. Maybe you never thought about decorating this room in the house, but why not? You have a lot of options for it and today I’m going to tell you some to see red, green and white, or the colors you prefer, your toilet. It can be as a detail or with a greater deployment. How you like it! 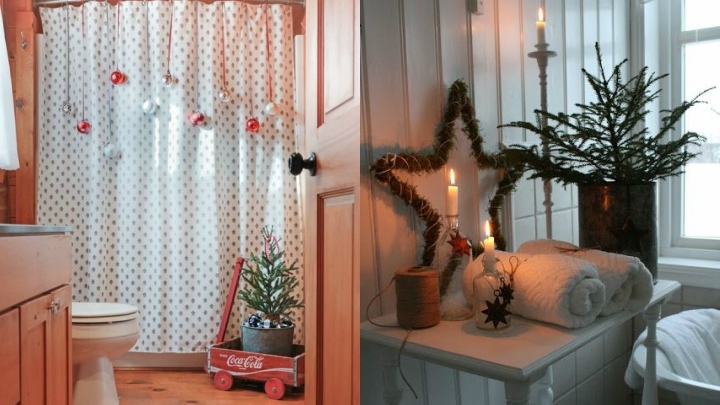 If you have shower curtain instead of screen you can hang, during those days, a Christmas print. The touch he will give to the bathroom will be brutal. You can choose one of typically Christmas colors such as red and green, that has some allusive drawing of Santa Claus or a tree … If you have a screen, the alternative is to stick adhesive vinyl stickers that add an extra to your decoration. An idea that I like a lot because it is quite discreet if you do not want to make a big decorative show in the bathroom is to have a couple of sets of towels with Christmas motives so you can use them during this time of year. They can be with Christmas prints as such or, simply, red smooth ones, for example. Or green, golden … It’s a small detail that shows. If you like, crafts and you want to give a funny brushstroke to the Christmas decoration of your bathroom there are tutorials for you to turn your toilet into a reindeer, into a snowman or into Santa Claus. With fabric or felt and putting a mat on the floor that combines with your creation the cup will acquire a new original look that will surely surprise your guests. Although there are bathrooms that are not excessively large, the Christmas tree will always fit. However tiny or minimalist it may be. You can put it on a shelf, in a corner of the room … With just this complement Christmas will have reached your bathroom. 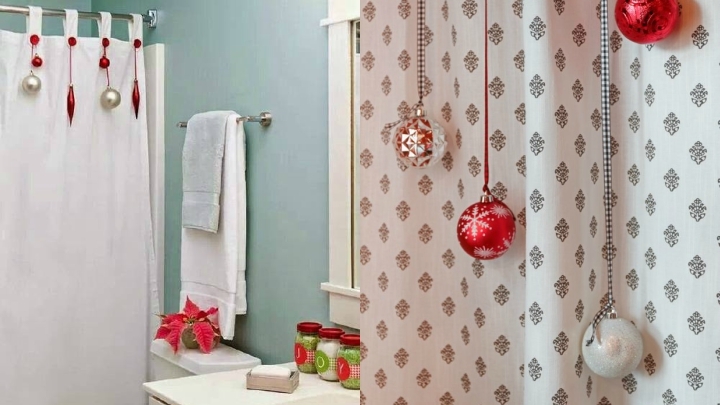 If you like to print a Christmas air to the bathroom but without passing another good idea is to place small ornaments. For example, some balls in the shower bar, a poinsettia on the countertop, some candles, a basket with some dried pineapples … You can even buy accessories that are exclusively Christmas, such as a soap dish in the shape of Santa Claus or doll of snow, jars for the brushes, the support of the toilet paper … The touch of color and Christmas is more than assured. To welcome as it deserves everyone who visits your bathroom this Christmas hangs a crown on the door. Many times we see them at the entrance of the house, but if you want to put it in the bathroom will be great. Once again I ask you, and why not?